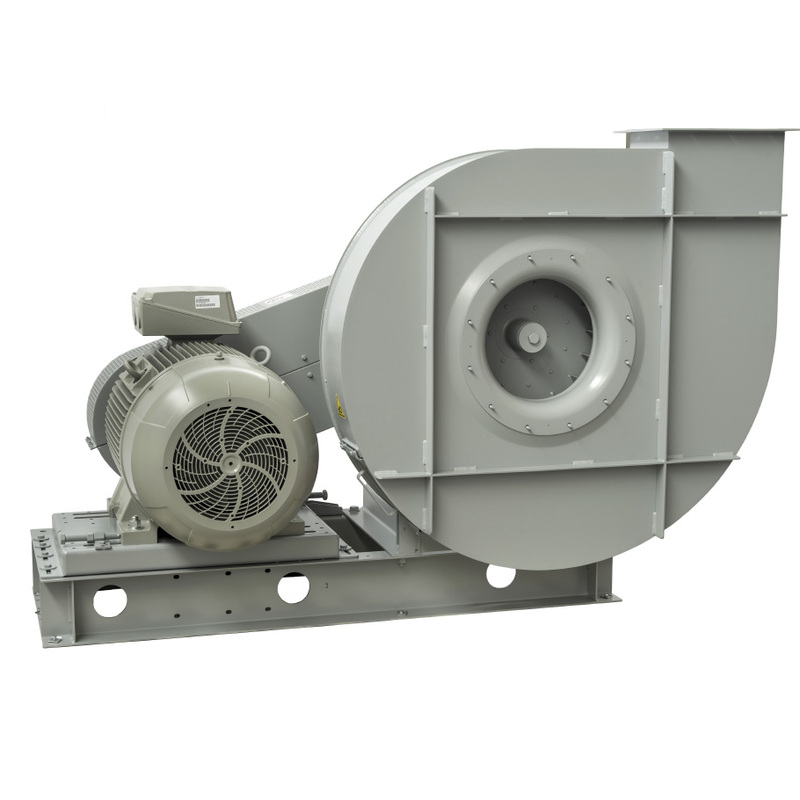 Among the various ranges of fans for industrial applications we offer at S&P are forward curved blade impeller fans. In our range of forward curved blade impeller fans, you can find solutions for direct drive and transmission drive coupling, driven by pulleys and belts. All the fans in this range include a large number of configurations on request, which allow us to have a fan adapted to the needs of each project. The centrifugal fans with direct and simple suction coupling in the FC-P range are made of steel plate protected against corrosion by cataphoresis and epoxy paint treatment. The motors of these fans are 2-pole, high efficiency IE3*, with IP55 protection, Class F.
The centrifugal fans with direct and simple suction coupling in the FA-R range are made of steel plate protected against corrosion by cataphoresis and epoxy paint treatment. Explosion-proof versions according to the ATEX directive can be manufactured on request for three-phase models, for working at temperatures from -20°C to +60°C, ambient pressure (absolute) from 0.8 bar to 1.1 bar, in accordance with EN 14986. The centrifugal fans with pulley and belt drive and simple suction of the FE-P range are made of steel plate protected against corrosion by cataphoresis treatment + epoxy paint. Explosion-proof versions according to the ATEX directive are available on request. 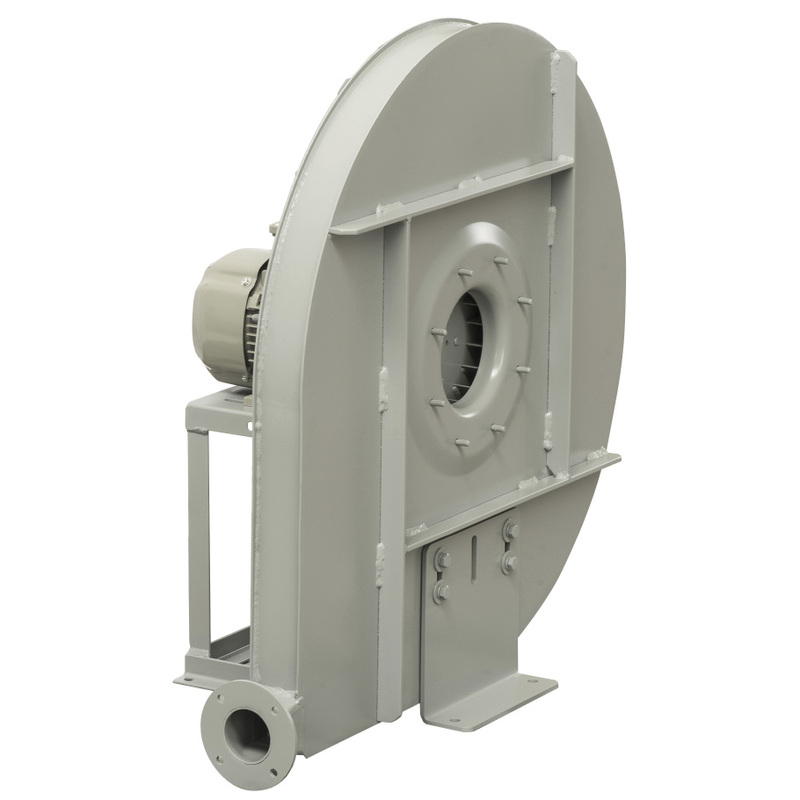 The centrifugal fans with pulley drive and simple suction belts of the FG-P range are made of steel plate protected against corrosion by cataphoresis and epoxy paint treatment. These fans allow various mounting systems and can be made to order in different materials and versions.